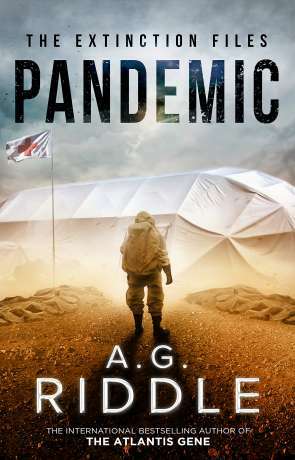 As the name suggests, Pandemic explores what happens when a deadly infection takes the leap from epidemic to pandemic. A sobering passage on the cover aknowledges, it's not a question of if but when. There are many things that endanger the human race but with the exception of the zombie apocalypse there are fewer things more worrying than an unchecked infection sweeping the globe. Lets face it, the most likely of the two is the sweeping infection scenario. There have already been a number of worrying unchecked outbreaks over the course of history. Past pandemics include brushes with cholera, bubonic plague, smallpox, and influenza (amongst others). The bubonic plague (Black Death) outbreak of 1346 is estimated to have killed as many as 200 million people. When you combine this with 21st century biotechnology and gene editing the when becomes a worrying prospect. Even the H5N1, which a bad enough virus already, has been modified in a Lab to become even more contagious. Should something like that get out it might not kill everyone but would likely wipe out a great deal of people. H5N1 is pretty tame when compared to something like the Ebola virus though which kills around half those who catch it in as little as sixteen days after infection (and those sixteen days are not pleasant ones). Anyway, Pandemic introduces us to Dr. Peyton Shaw, the CDC's leading epidemiologist (a person who studies the spread of disease in populations) who is part of a team of first responders to outbreaks around the world. In Kenya an ebola-like disease has just infected two Americans, one of whom is in a serious condition. Joining the Kenyan Ministry of Health and the WHO, She finds her worst fears confirmed. Tracing the origins of the outbreak, Peyton begins to unravel a mystery that may be merely the opening act in a conspiracy with far reaching consequences. So far, so ominous. The book plays out with conspiracy on top of conspiracy while in the background the body count begins to pile up. The author does a good job of building the tension and keeping the reader interested as things start to go really pear-shaped. One of the things I really love about Pandemic is just how much research the author must have put in. The book feels authentic, in parts like a news report of the stages of an outbreak and how the CDC deal with such a thing. This really grounds the novel and helps to deliver an emotional punch.There is a nice little touch between some chapters which provides a running total of the infected and deceased. It does feel a little long though and sags a little in the middle. This isn't helped by the lack of character development. At times the characters feel more like plot points than people. I didn't really develop any feelings toward any of them, least of all Peyton. The story is good though, joined though it maybe by one co-incidence too far. Pandemic is an easy read (pacing issues aside), and feels like a realistic depiction of a pandemic spread. It's an interesting journey on what could happen when the inevitable does happen. Pandemic is only the beginning of the journey too - the book being the first in the Exctinction Files series - not a bad start and I'll be interested to see what happens next. Written on 27th July 2018 by Ant.